It’s not easy to find neutral sources when it comes to Israel, being most of Israel’s origin itself. This applies not only to the political but also to the technological aspects. 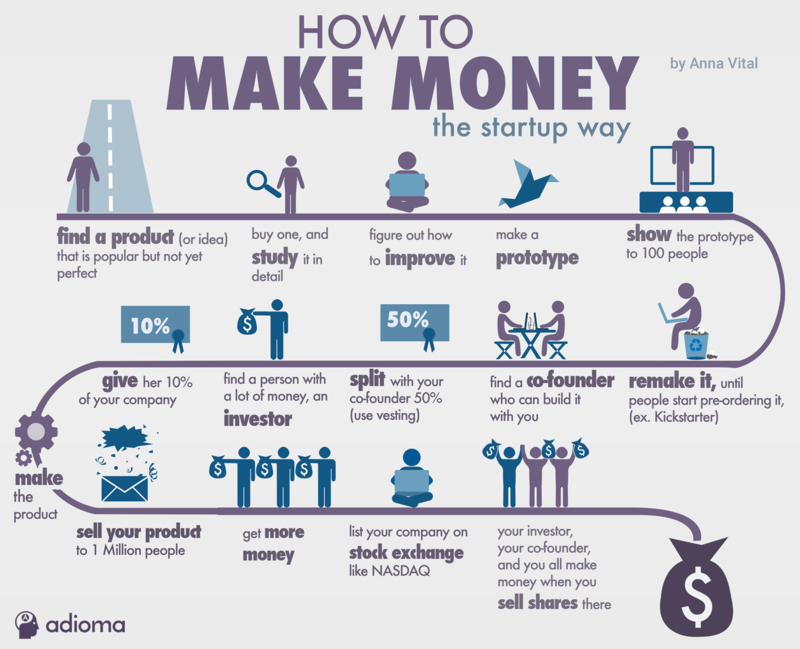 Why “Start-up nation”? To understand it you have to take a leap back in the post-war period. In 1947, United Nations General Assembly approves Resolution 181, which proposes the division of PalestineDef. between two new states: an Arab Palestine and a Jewish state of Israel, with Jerusalem under international control. The Objective of the resolution is to resolve a conflict whose roots are bound to the XIX century. Unfortunately, the explicitly colonial nature of a unilateral resolution, which does not even include the consultation of the Palestinian population, first led to the 1947 civil war, then to 1948 the Arab-Israeli war. The “War of Independence”def. sees Israel to maintain both the area recommended by UN, plus 60% of the territory recommended for Arabs. The Arabs will remember the outcome as Nakba (“catastrophe”), with the massacre and the expulsion of hundreds of thousands of Palestinians. Since then, Israel is a country in a state of constant warfare, against nearly all of the surrounding Arab nations. This historical premise is important to understand how the Israelis have been shaping their mentality. This is because of the immense effort to build a state on a resourceless land, and in constant warfare. All these difficulties are what shaped Israel into real “start-up nation”. Today, we know Israel for the incredible number of start-ups founded, especially in the hi-tech industry. There is a word behind this proliferation of start-ups: Chutzpah. It is an untranslatable Jewish word, which many define as “the constant will to keep trying things that nobody has done before, without fear of failure”. According to the two authors, it is the compulsory military service where the Israelis develop their Chutzpah. During the service, the Israelis learn to make quick and risky decisions, and this would be fundamental later on. Many entrepreneurs also admit they do not consider education a priority while recruiting and instead look mainly at the results achieved during military service. The book had its share of criticism, mainly pointing out a style a bit too much one-sided1. In the end, we can still consider the book as a work indicative of how Israelis reason and operate. 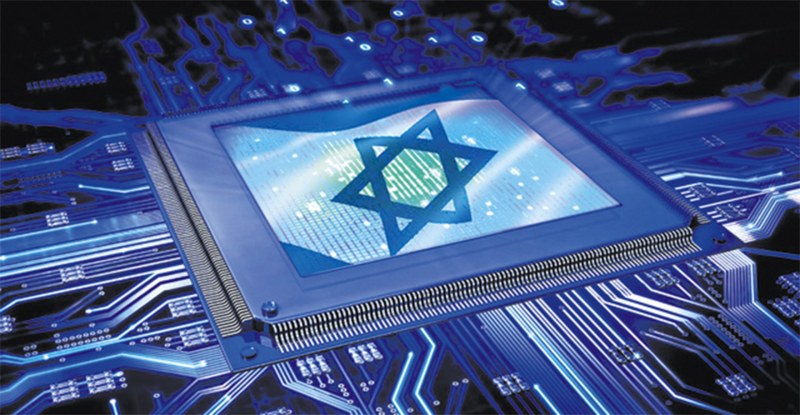 For years the industry has been perceiving Israel as an almost inexhaustible source of technological innovation. With Big multinationals increasingly lured by this source, it is no surprise that investments have reached the record $ 4.6 billion, exceeding the record of $ 4.4 billion back in 2015. 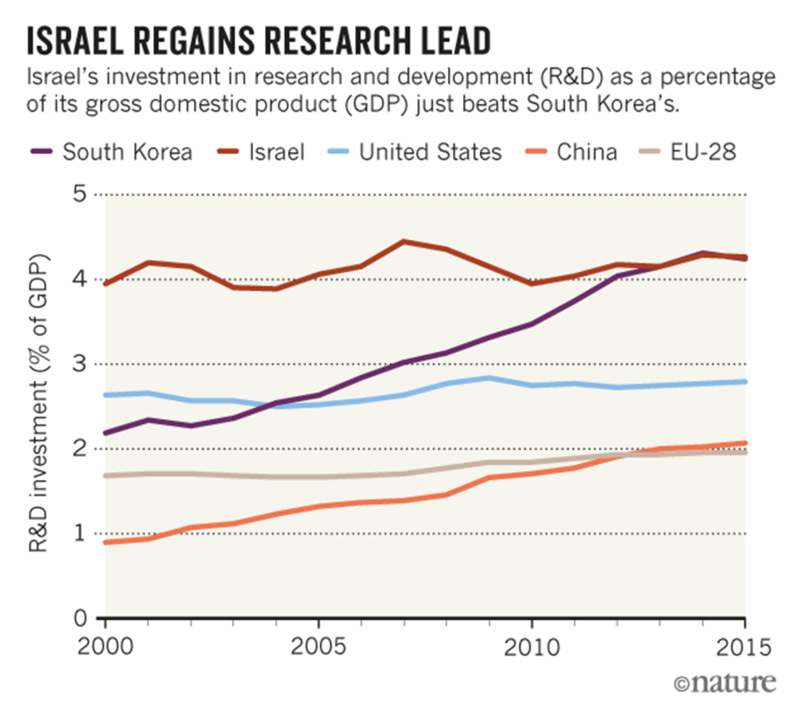 In addition to Chutzpah, another important reason is the amount of money invested by the government in research and development, amounting to over 4% of GDP, more than double the US for example. Successful start-ups are surely attracting a large amount of foreign investment, but not all that glitters is gold. In fact, 95% of Israeli companies end up being sold abroad. So, It is not surprising that Israel has also gained the title of “Exit Nation” in addition to “Start-Up Nation”. Some of the most famous exits were ICQ to AOL in 1998 for $ 400 million (later acquired by Mail.ru in 2008), Waze to Google in 2008 to about 1 billion, and Mobileye via IPO in 2014 for 1 billion, later sold to Intel for more than 15 billion in 2017. For so much money that comes in, there are also many brains going out. Problem is, it is the Israeli brains that the buyers mainly want, so they often move the start-ups abroad. This is a concern for many Israeli investors and industrialists. In fact, according to Michael Eisenberg, the idea is that Israel should grow from “Start-Up nation” to “Scale-Up nation”. “In 2017, Israel is an attractive international destination for creative and bright people. It should not only be a place where Jewish refugees come. We are an attractive destination for technology-minded and innovative spirits and brains. As a community, citizenry, and government, we need to be investing much more dollars in that.” Eisenberg said in a recent interview to The Jerusalem Post. Compared to the previous years, in the first half of 2017, it seems there has been a downturn in the number of exits, and also in the average sale money: $34 million in average vs. 87 last year. One of the possible explanations given is because of changes to American and Chinese tax policies. Another possible reason might reside in the change of start-up philosophy, that would be shifting from a policy of immediate monetization toward a longer-term growth strategy. The military apparatus is usually what drives technology advances, and of course, Israel is no exception, indeed. Israeli military technologies are amongst the most sophisticated and advanced in the globe. For example, Elbit System produces systems such as Music-C, a military laser installed on civil aircrafts, Iron Vision (see below), a headset that allows tank soldiers to “see through” the tank’s walls so that they can get a 360° view. 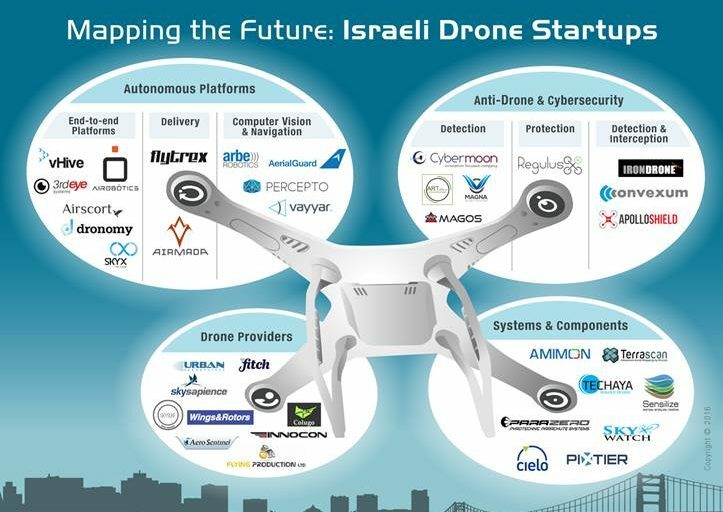 Israel is today one of the largest exporters of drones, and standing by some observers the industry is worth today around $400 million a year. If Israeli drone technology is one of the most advanced in the worldDef., it is military drones what sells more abroad, and now it counts customers from all over the world. Israel’s use of the drones, especially in Palestine, impressed the buyers so much they used many of them in Afghanistan. According to Al-Jazeera (video), Israeli drone use exploded after the Second Intifada in 2000, where tactical drones played a key role in the “military assassination” program on Palestinian territories. Now, thanks to the accumulated experience, Israel enjoys an unprecedented advantage in a rapidly expanding market. In the beginning, military drones were essentially used for reconnaissance and defensive purposes, and questions about the use of tactical drones by buyers, the standard answer was “we provide the technology: how it is used is not our business”. According to Al-Jazeera, there is strong evidence that the use of Israel’s tactical drones has kept growing, first during the Gaza War, in the “Cast Lead” operation and then in 2012, in the “Pillar of Defense” Operation. During the latter operation, Human Rights Watch reported several cases of civilians killed by tactical drone attacks. Despite the evidence of the use of these drones, Israel is refusing to acknowledge the existence of such a program. It seems common to justify the use of offensive drones in field operations using alleged saving of lives (mainly soldiers). However, this kind of “remote fighting” through drones can create a disconnection between the attacker and the target. This is becoming very much of a concern for the international community. Israeli filmmaker, Yotam Feldman, who produced this investigation of “Israel’s Drone Dealers” for People and Power, asked van Creveld to clarify this remark. The ability to fight just driving drones through a joystick might make military operations more like video games than real wars. Ironically, according to the Guardian, last year the RAF was considering the “idea of recruiting eighteen-year-old video game players to maneuver these drones”. Surely, as with all other technologies, the military drones market also works as a towing for civil technology. However, should we keep moving toward autonomous, the motto “It is human intelligence what makes them deadly” could be proved wrong soon. Israel, like other states, has its own training program for the new cyberwarriors, called Talpiot. This program trains the best Israeli minds in all kind of cyber-wars and has attracted the attention of Indian government. Indians were in search of inspiration for their own program, so the two governments agreed to create a partnership. This partnership guarantees India training and technology, as well as it grants Israel access to an exponentially growing market. In network security, a company of interest is Red Canary, which has developed AI algorithms that by analyzing attack patterns, binary inspections, user behaviors analytics, can protect the network from vulnerabilities caused by the endpoints. 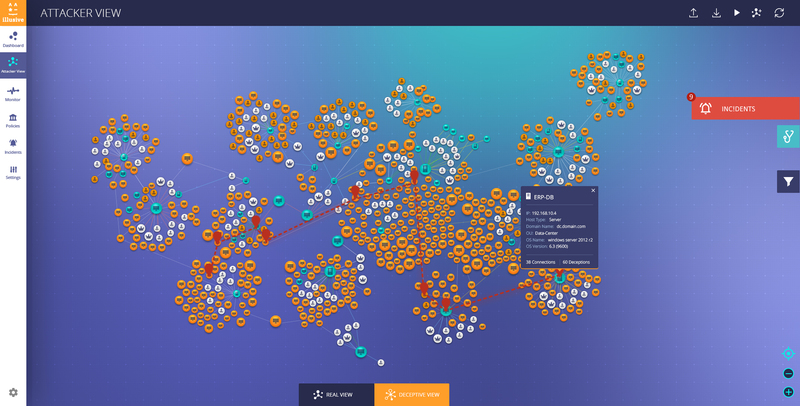 It is also of interest the platform developed by Illusive Networks, which allows users to create illusive endpoints and networks in order to deceive possible attacks and deliver tracking analysis that is valid even from a forensic point of view. Israel is also at the forefront in the field of quantum encryption: Post-Quantum claims to produce encryption “quantum-resistant encryption”. The Quantum Information Science Center at the Hebrew University of Jerusalem has won a 7.5 million NIS tender from the government of Israel to lead the construction of a national demonstrator for quantum communication technologies. Another hot field in Israel is network management, where the trend seems to be to deliver all-inclusive products, with the aim of making service providers able to implement technologies such as SDN and NFV with minimal impact. For example, Allot produces a Service Gateway with already built-in and configured virtual services as VNFs ready for use, as well as what they define as “actionable analytics”Def..
Elastinet produces a totally all-inclusive virtual network management platform, which includes LightSoft for virtual network management, LightControl as SDN controller, which can unify LAN and WAN management, and LightApps, a set of SDN apps that can be installed on the controller itself. The last mention is for Atrinet, which delivers a product that can easily manage multivendor clouds, as well as a networking tool for creating network services straight from the web, and Sedona, with Netfusion, which are an automation and a discovery product. Driverless cars are the third hot topic in Israel. We cannot speak of autonomous cars in Israel without talking about Mobileye if nothing else because of Intel’s acquisition for about 15 billion dollars. Mobileye’s buyout by Intel was the biggest exit for an Israeli startup. Intel’s declared plans were to combine Intel’s high capabilities in processing and connectivity with Mobileye’s experience in Computer Vision. Prior of being absorbed by Intel, Mobileye had also gained a reputation for a collaboration with Tesla in 2015. which eventually ended badly the following year. Mobileye made a statement pinning the blame on “security reasons”, while Tesla attributed the cause to its plan take home the development of the visual component for later versions2. Innoviz is a start-up that is working on the development of a totally autonomous car with revolutionary object recognition and navigation systems. GasNGo provides advanced fleet fuel and management control services in real time. Interesting is also the NXTdrive proposal, which allows interaction with the smartphone through touch sense and voice feedback, without pulling hands from the steering wheel. Among the most interesting innovations, there is Nexar, an app downloadable on smartphones, that can work as a Dash-cam. It can record video clips of accidents, analyze road conditions and warn in case of dangerous events. Furthermore, Nexar uses a computer vision algorithm to analyze the video clips, and record the offending cars’ license plates. Other Israeli startups that are disrupting the car tech industry include Otonomo, which allows car makers, apps, and service providers to exchange data such as speed, temperature, and battery levels. VayaVision crafts of sensor technology and autonomous driving system, and Argus Cyber Security, which protects cars, fleets, and systems from hackers. Israeli startups are also producing many innovations in the medical field. Given Imaging has produced PillCam, a special disposable “pill” containing (depending on the version) one or two micro cameras that can display intestines, esophagus or colon, coming with a software that can analyze the images and video produced. Purpose of this device is to replace or integrate more invasive processes such as endoscopy or colonoscopy. Innosphere produces a non-invasive device capable of treating ADHD through appropriate skin stimulation. Speaking of visual diseases, Nano Retina is able to significantly improve the vision of subjects affected by the degenerative retinal syndrome, through a chip directly implanted on the fovea and special glasses. Always speaking of visual diseases, OrCam has implemented MyEye, a device that can provide a sort of “artificial vision” for the blind, or for those suffering from language disorders such as dyslexia. It is a small camera that attaches directly to the glasses, connected to a pocket computer. This is able to read texts from almost any surface, translating them into a synthesized voice. Last but not least, “Just Blink”, a project published in Graefe’s Archive for Clinical and Experimental Ophthalmology by researchers at the Technion-IIT, in the Faculty of Electric Engineering at the University of Haifa. It is a device capable of reading the movements of a small magnet located on the upper eyelid (EMM, Eyelid Motion Monitor), and diagnosing neurological (such as Parkinson’s disease) and ophthalmic disorders. Changing to a not strictly medical topic, there is SCIO, a spectrometer similar to the Star Trek Tricorder. The device can analyze the spectrum reflected by an object and determine its chemical composition. 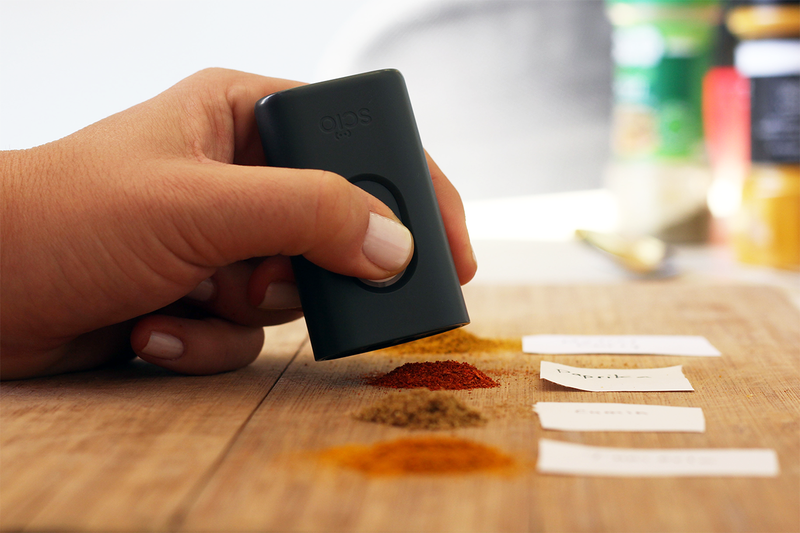 The consumer version is able to analyze a predetermined set of substances, such as cheeses. meat, fish, fruit, vegetables, and chocolate. The business version, on the other hand, allows analysis on tailor-made models tailored to the needs of the company. There is also a “developer” model that allows users to develop their own spectroscopic models to be analyzed, with the appropriate knowledge of NIR spectroscopy. 1. Mainly because standing to the criticism he would glide over the strong internal inequalities, especially toward the Arabs. 2. Tesla recently claimed to have been able to recreate Mobileye’s system in less than 6 months. Can Israel build big, sustainable companies? 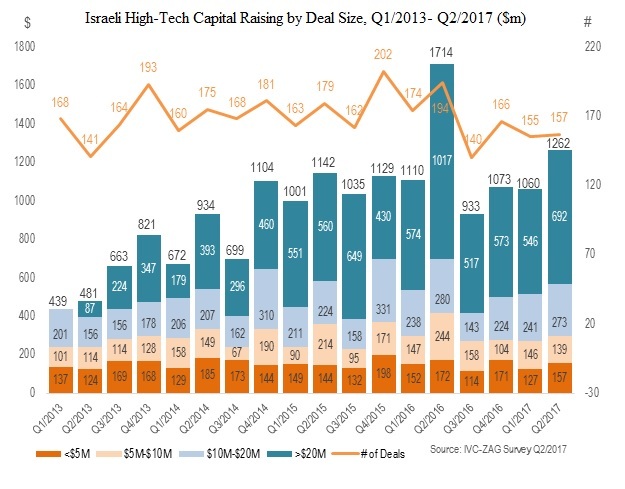 Should Israel Fear Bursting Tech Bubble?